For 31 years, the Jasper Open has provided a fun-filled day of golf and camaraderie to benefit Manhattan College. Join us for this year's outing on Monday, May 13 at our venue, Westchester Country Club (99 Biltmore Ave., Rye, NY). There will be a Silent Auction and raffle prizes featuring golf foursomes at prestigious clubs, exciting trips, tickets to sporting events, golf and athletic products, and other fine offerings. Join us for a day of golf or become a sponsor to benefit our students and future generations of Jaspers. 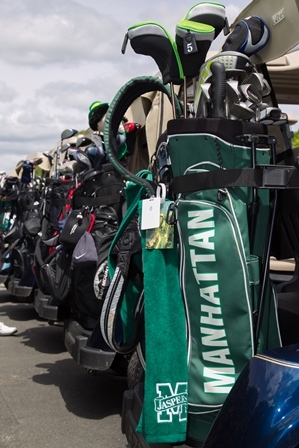 The Jasper Open is Manhattan College's annual golf outing. Show your commitment by becoming a sponsor, playing a round of golf, or joining us for dinner.